"I don't care about intellectualizing art! 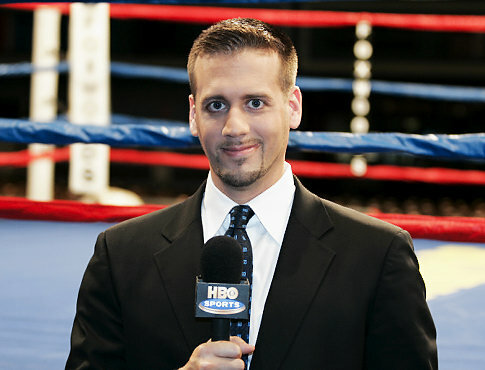 You either feel it or you don't..."
For those who are only familiar with Max Kellerman from his current gig as HBO commentator/analyst for their Boxing After Dark and World Championship Boxing series, you may be surprised to know his love for Hip-Hop runs just as deep as his boxing passion. Back in 1994, a seminal year for ground-breaking Hip-Hop albums, Kellerman and brother Sam were signed to Columbia as the rap duo Max and Sam, dropping a video for “Young Man Rumble.” Nearly 20 years later, who does Max view as the greatest emcee of all time? Who’s career was the biggest disappointment? As the below interview will show, Kellerman’s opinions on Hip-Hop are just as bold and diverse as some of his boxing stances. Beats, Boxing & Mayhem: Just on your gut instinct, is Hip-Hop as an art form doing better today than it was when you were making music in the 90s? Kellerman: It really depends on the music industry and how it’s organized. When it’s wide open you have more creativity. I was arguing with [my friend] Marcellus about how many eras did the East Coast have, how many did the West Coast have? When did it switch eras? I still liked East Coast better at the time but they weren’t doing anything new. It was the same thing, derivative. It was great stuff but it was derivative stuff. Then all of sudden we heard a new sound out of the West Coast. It was original and the era shifted. But I think, and my radio partner Marcellus disagrees, the era went back to the East Coast with Wu-Tang, Mobb Deep and Capone-N-Noreaga. All of a sudden you were hearing a new sound you hadn’t heard before. I think it has to do with the structure of the business but I haven’t been in it in so long, [about] 20 years. I could not speak intelligently on how that struture is affecting the music that’s being made. Beats, Boxing & Mayhem: I remember a few years back you compared Nas’ career to Mike Tyson’s. But we see Nas has been on quite the career run lately, something Tyson failed to achieve in his later years. Would you still place yourself in the camp of those critics who feel Nas still has yet to live up to his potential? Kellerman: Hip-Hop is a young man’s game but it’s changed recently like sports. Older guys have hung on. But with Nas there’s so much water under the bridge. Are we supposed to forget Nas Escobar? When Nas came out it was “Look! G Rap and Rakim had a kid!” That was what it sounded like. He was going to be the greatest rapper that ever lived. When Illmatic was hot, when you asked anyone with a lie detector test or a gun to their head, it was Nas [as the greatest]. Emotionally, that was the impact. But back to earlier, the derivative starts to make the original sound older, dated. So now whatcha got [new]? Because he didn’t follow up with something on [Illmatic’s] level… Look, when Tyson came on the scene, no one would admit it, but he would’ve been the favorite against anyone in history. 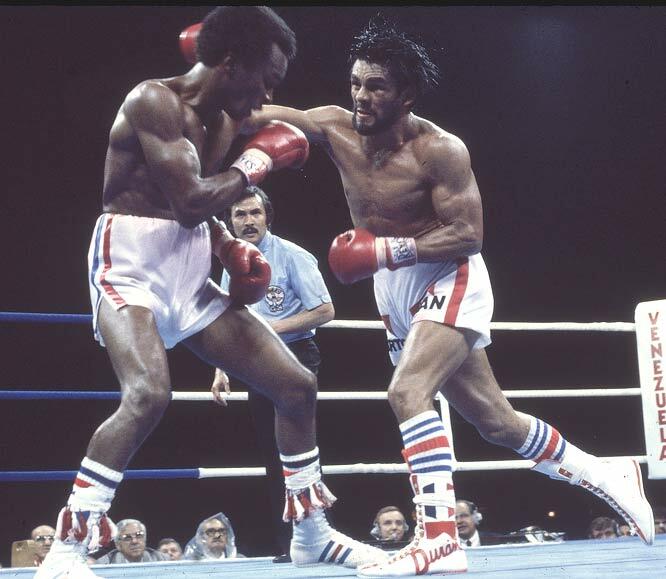 Even guys like me who say Ali would’ve beaten him or George Foreman had the right style for him, bottom line is the odds would’ve favored Tyson. That tells you what people really thought. But it [his career] didn’t turn out that way. Beats, Boxing & Mayhem: [laughs] That’s one. Why do think HBO’s attempt for a director Hip-Hop/boxing crossover with “KO Nation” flopped? Kellerman: They were just trying to do something without really knowing why they’re doing it. Look, white people don’t really buy tickets to fights. Black people don’t really buy tickets. But, they’ll buy pay-per-views and watch it on TV. Mexican fans? They buy tickets. You can go into sociology or whatever, but African-American fighters post Sugar Ray Leonard people assumed there wasn’t a market for it because when we look in the crowd, we don’t see them. They did a great job of galvanizing that population. Once it trickles out it becomes a big event. Dre and Snoop didn’t go five times platinum just selling to black kids. There were white kids in the suburbs watching and got interested. Beats, Boxing & Mayhem: How bad is the damage to Mayweather and Pacquiao’s legacies for delaying and possibly not ever fighting each other? Kellerman: Tremendous damage. They’ve damaged it because the fight’s not as big now as it would’ve been say 1-2 years ago because Floyd’s now seen as the prohibitive favorite, so that takes a little shine off. Floyd Mayweather is one of the three best pure boxers since the second World War: Willie Pep was the first, Pernell Whitaker was the second and now Floyd Mayweather. Manny Pacquiao is one of the best aggression fighters since the Depression really: Henry Armstrong, Roberto Duran and now Manny Pacquiao. They’re fighting more or less in the same weight class and around their primes. Are you kidding me? I don’t want to hear it, fight! I do think they will eventually fight because Floyd doesn’t fight unless he’s 100% sure he’ll win. I think he was watching Pacquiao a year or two ago and was like “Hmmm, I’m 70% sure I’ll beat that guy.” And Top Rank doesn’t want to kill the goose that lays the golden egg because it’s a very risky fight for them, especially if Floyd wins by a very wide margin. The moment Top Rank thinks Manny will lose his next fight, the more likely they’ll make the fight. 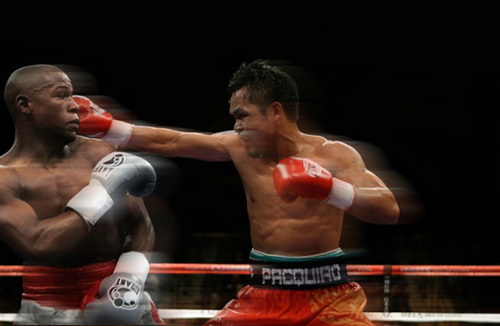 And when Mayweather is 100% sure he’ll beat Pacquiao, he’s likely to make the fight with Pacquiao. Those two things should dovetail so eventually we’ll fortunately get the fight. 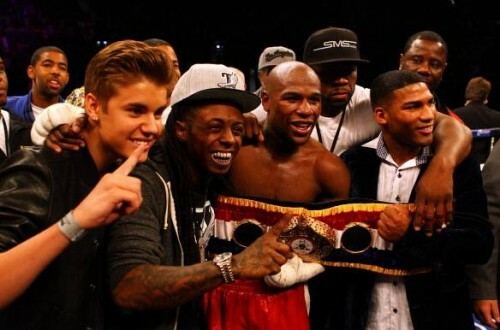 Unfortunately, by the time we get it, Floyd will be a substantial favorite to win. Not that it’s a bad thing if he wins, but you want a 50-50 type fight. 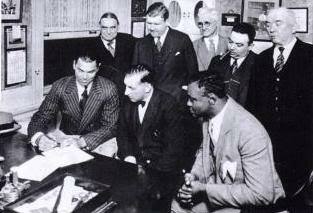 Beats, Boxing & Mayhem: Should they never fight, will this be another Jack Dempsey-Harry Wills situation? Kellerman: Dempsey didn’t go through much when he didn’t fight Harry Wills. Dempsey wanted to fight Harry Wills but what was the upside for him? By the way, I don’t necessarily think Harry Wills beats Jack Dempsey. Maybe there was upside because you can play up the race angle but you can blame that on Jack Johnson. When you have gold teeth, smile at the white guy you’re beating up, marry white women and drive fast cars… he had every right to do it and I’m glad he did it. But, a black guy wasn’t going to get a shot at the title for a hot minute after that. Jack Dempsey was a killer; he didn’t care who he fought. Beats, Boxing & Mayhem: Going back to Floyd Mayweather and your pure boxer praise for him, how do you think he’d have fit back in the Fab Four era? Kellerman: I never think of who beats who. That’s [who’s] better, not greater. Better and greater are two different categories. I’ll give you an example. One sport we can time with objective measuring is track and field. 100 meter dash, there’s no debate that Jesse Owens would be dusted by the tenth fastest guy in the world today. So the tenth fastest guy today is “better” than Jesse Owens. Better doesn’t apply. I don’t know who the tenth fastest guy is, but I know who Jesse Owens is. How did the tenth fastest guy do against his contemporaries today? What’s the average margin of victory? Let’s argue the reverse for boxing and say it’s become increasingly marginalized in this country, and there were more fighters and trainers and therefore more experienced and better fighters 30 years ago, although the same argument was made in the 50s, I could reverse the arrow of time and say we might be getting worse. That’s fine, but still doesn’t mean you’re [today’s fighters] not as great. Just like it helps Jesse Owens, it helps Floyd Mayweather. Even if you want to argue Tommy Hearns was better than Floyd Mayweather; he’s 6’2, 78 inch reach, can knock down a building, he can outbox anyone, how can Floyd beat him? Let’s say I go with that argument. That means Hearns is better, not greater. How did Hearns do against his contemporaries, his chief rivals? Who were his chief rivals? I don’t think Hearns is going down as a greater fighter than Mayweather, even if you want to argue he was better. Beats, Boxing & Mayhem: Do you think the idea of boxer’s skill levels becoming worse has credence by the fact the older fighters can hang around so long and in some cases still dominate? Kellerman: They’re not as good anymore. [laughs] Listen, I subscribe to the same theory. Why have the two best heavyweight eras occurred in the last 30-40 years? It’s because people are getting bigger, right? From a larger population you get more competition and expect to see more good fighters. Well, in boxing a guy who walks around 180 pounds, the average American male, you’re gonna fight at 160. Back in the day the average male walked around at 160, he’s gonna fight at 135-147. So you notice a lot of great lightweight and welterweight eras back then. In the 90s with Bowe, Holyfield, Tyson and Lennox, and in the 70s with Ali, Frazier, Foreman, you see that at heavyweight. The same thing applies to older fighters. When you have a huge pool of fighters you have more fights and therefore more experienced fighters and trainers. You had more good fighters fighting as you went back in time. Once you get to the 20s, 30s, 40s, 50s, you probably have the bulk of the best fighters… maybe 30s-70s. Maybe we’re now tailing off on the other end of that bell curve. There’s fewer fighters so it allows fighters like Bernard Hopkins to stick around longer. That said, right in the middle of the so-called golden era, you had Archie Moore doing what Bernard Hopkins is doing now so maybe I’m wrong about that. I don’t think I’m being nostalgic. When I was a kid, the fighters in the 80s didn’t quite seem as good as the 70s. Maybe the 70s were comparable to the 50s, I don’t know. Greatest boxer of all time I’d say Sugar Ray Robinson, his prime was about 1947. Greatest baseball player of all time, Babe Ruth. His prime was in the 20s. Greatest basketball player of all time, Michael Jordan. His prime was in the 90s. So I don’t think I’m being sentimental about my youth. I think you look for greater, not better. But even if you look for better in boxing, I think they’re not quite as good now as they were a couple of decades ago when there was more of them. Beats, Boxing & Mayhem: Speaking of Bernard, is there anything else he can do to add to his legacy at this point? Kellerman: Oh yeah, he just needs to find the right guy. Listen, Chad Dawson would never have been the right guy for Bernard Hopkins. Not saying Bernard never would’ve beaten him, but a tall, rangy, athletic southpaw at 29 years old who’s a light-heavyweight? Hopkins made 20 defenses at middleweight. If in the middle of that run he moved up to challenge Dawson, he would have been the underdog. But if you put Bernard in against a wild guy like [Jean] Pascal, or a basic aggressive fighter like [Felix] Trinidad or Kelly Pavlik, who’s gonna come at him but in a basic way, he can make a good fight and still win. Beats, Boxing & Mayhem: Can we put Tavoris Cloud in that category? Kellerman: I think Tavoris Cloud would fall right in that category. At a certain point, the ring is going to retire you. Cloud would be a good test. Eventually he won’t be able to but based on his record he has a helluva shot to do it. Beats, Boxing & Mayhem: One last question. Based on criteria we discussed earlier, who pops in your mind first as the greatest emcee of all time? Beats, Boxing & Mayhem: Wow! Kellerman: Yeah, he obviously didn’t have the longevity. And maybe he would’ve seemed dated eventually, but the reason Jay-Z took over was because he filled a vacuum. When they were alongside each other, Pound 4 Pound, it was Biggie’s world. At his peak, as an overall emcee with delivery, live show, tracks, rhymes, the whole thing, Biggie just had a way with words that still sounds good. Hip-Hop doesn’t date great. It’s like comedy; it starts to sound old really fast. Now over a whole career, how could you not give it to Jay-Z? Jay may be missing the things Biggie, Kool G Rap, Rakim and Nas had, which is genius of some kind, [but] Jay-Z is talking you into it. He’s studied hard enough. He’s a genius too and all of that but… When you see Magic Johnson pass the ball or even Larry Bird, there’s a little extra court vision of genius that if you saw Isiah Thomas pass the ball, he’s a great point guard, but not quite the same level of genius. Jay-Z is lacking that little thing, but he’s almost right there. He’s Hank Aaron in consistently. He’s not Babe Ruth, but he’ll get you 40 runs for 20 years and be the home run champ. Kellerman: Maybe… Tupac had more records because he started a little younger. It’s a matter of preference. From the East Coast you can recognize Tupac as being great, but it’s not like I was listening to Tupac records to tell you the truth. The beats didn’t sound right to me. I understand it was good music. There are pockets of people who swear by Tupac. But to me greatest emcee means lyrically, that’s what drives it. 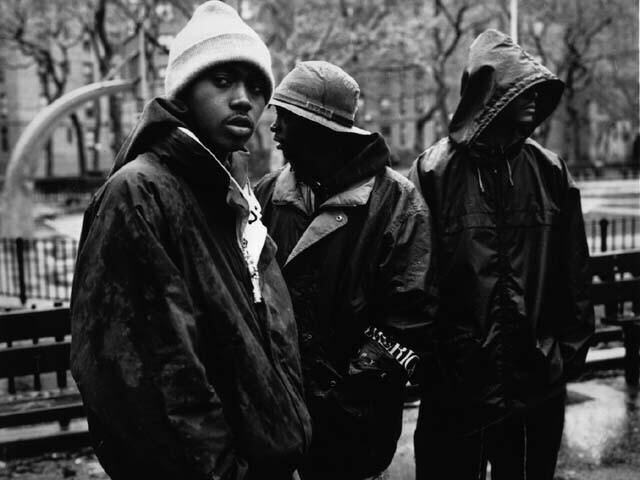 So early on it was Rakim and G Rap, then it turned to Nas then Biggie and Jay-Z at least on the East Coast. Raekwon’s Only Built for Cuban Linx might be my favorite record or CNN War Report. Those were great records. I was dragged to a symposium on Public Enemy and these intellectuals were on stage talking about, “I remembering the first time I heard the driving beats of ‘Black Steel in the Hour of Chaos…” Yo, shut up! I don’t care about intellectualizing art! You either feel it or you don’t. There’s no objective standards to who’s the best emcee. Dirty on his first record was probably the best emcee because he was doing stuff that Nicki Minaj is doing now for female emcees. Is she like Roxanne Shante in her prime lyrically? But what’s that got to do anything? Music is meant to be heard not read and you have a visceral response to it. It’s what you like and dig, not a criteria. And then you have guys like Big Pun who tried to rhyme every word with every other word to convince you he was G Rap. G Rap wasn’t sweating that though, he was just a genius. 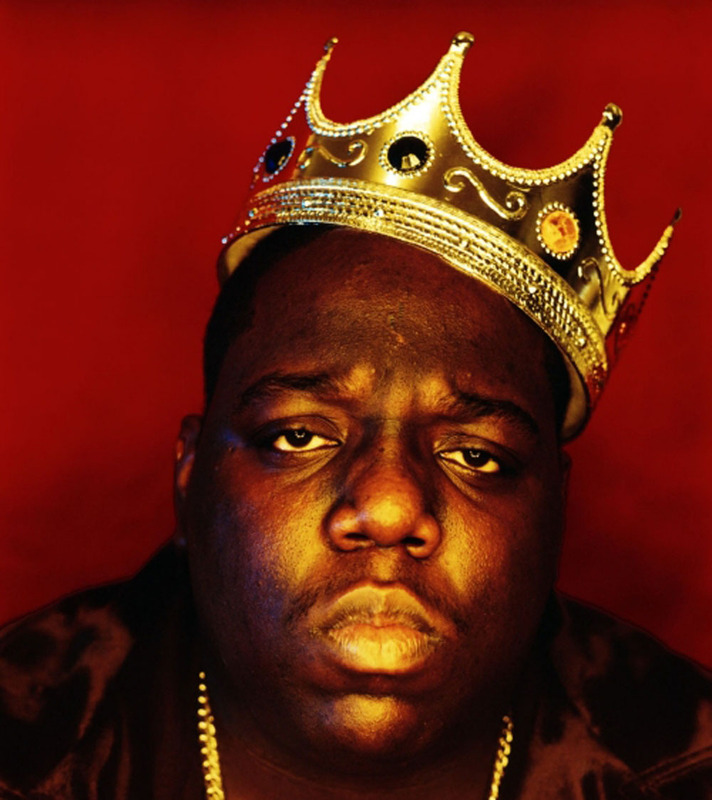 But again, my preference at his best, I’d say B.I.G.